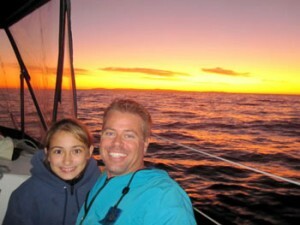 At the Newport Beach Sailing School, we want our students to have the best experience possible. To become one of ASA’s “Outstanding Sailing Schools of the Year,” we knew we had to be fundamentally better than other schools to achieve this prestigious award. Our goal is to provide the finest sailing instruction available, so that our students are ready to sail with competence and confidence upon course completion. 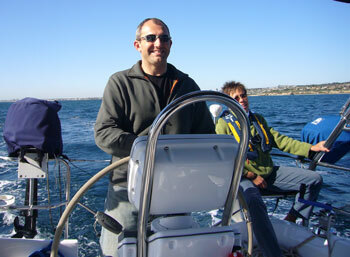 We invite you to sail with us and experience the Newport Beach Sailing School difference. Our ASA courses have a maximum of two students on board with each student receiving significant time at the helm. They truly learn how to sail and can confidently command their boat in various sea conditions, in and outside of Southern California. Many of our students go on to buy their own boats, join a fractional sailing program or charter in exotic destinations like the British Virgin Islands. Previous students frequently tell us how happy they are that they chose our private and semi-private instruction over a group setting. They comment that they haven’t just acquired knowledge, but most importantly, have gained the confidence needed to captain a boat with their family and friends aboard. People enjoy themselves most when they get to sail newer, clean, well-maintained boats. We invested a lot of time and resources to bring new boats into our fleet and then maintain them to the highest standards. We have also given considerable thought to what boat is best suited for students to learn aboard- for each level of certification. Our fleet of sailboats range in size from 20 to 45 feet. With this variety, we can choose the right boat just for you, which unquestionably enhances your overall learning experience. Last but not least, each of our vessels is equipped with the latest options for convenience, comfort and safety. Our instructors are regarded amongst the best in the industry. There are a lot of captains with salt in their veins–who have sailed all of their lives–but many of whom simply do not know how to teach! In life, we all know that a teacher can make or break your learning experience. Therefore, we looked long and hard to find US Coast Guard Captains and ASA Certified Sailing Instructors who displayed a great amount of patience and could communicate well. Not only do our captains fully possess these qualities, they have an exceptional knowledge of Southern California waters, as well as the ability to teach the art of sailing in a fun and interesting style. You can sail in Newport Beach, CA 12 months a year! Not many other places around the world can boast weather conditions conducive to sailing all year long. Here in Newport Beach, it never snows and rarely rains. We have neither hurricanes nor high humidity. Moreover, there are no big bugs to contend with and our temperature never gets too hot. You will also find that our winds are fair and rarely are they over bearing. In addition, the scenery is beautiful. Newport Harbor is surrounded by beautiful waterfront homes, the California coastline is magnificent and a sail over to Catalina island offers rustic charm to the island traveler. If you are flying in from out of town, John Wayne Airport (SNA) is just a convenient 6 miles away from Newport Harbor. Our classes also provide the best value for your money. At our school, you will be in a class with a maximum of two students. Our school will provide you with the personalized attention that is absolutely crucial for you to become a confident sailor sooner. 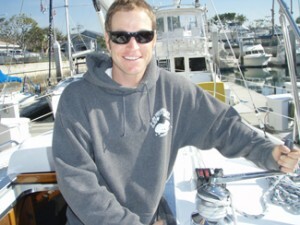 Last but not least, Newport Beach Sailing School schedules your instruction according to your schedule. We teach 7 days a week and do our utmost to be available for you. Since you have the flexibility to schedule your own classes, you have the freedom to sail and complete your courses when it is most convenient for you. What is there to do after I earn my sailing certifications?